A few months ago my best art friend, Patti, and I went on a road trip to Saluda, North Carolina to the most amazing art destination EVER! If you are any kind of creative at all (and who isn't?) you should by all means put RANDOM ARTS on your bucket list! 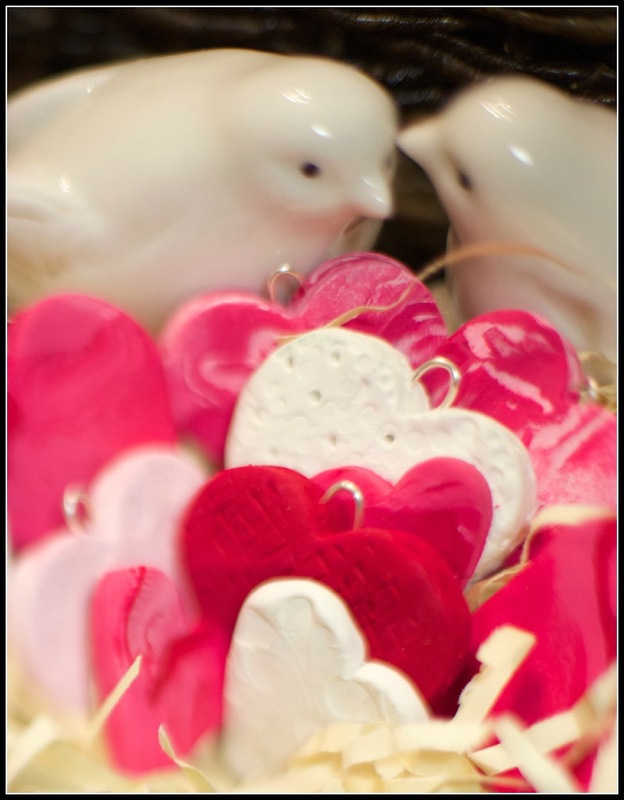 The owner, Jane Powell, stocks the shop with all kinds of wonderfulness, and she offers lots of really great workshops too. Patti and I went to spend three blissful days creating and learning from the Seth Apter! 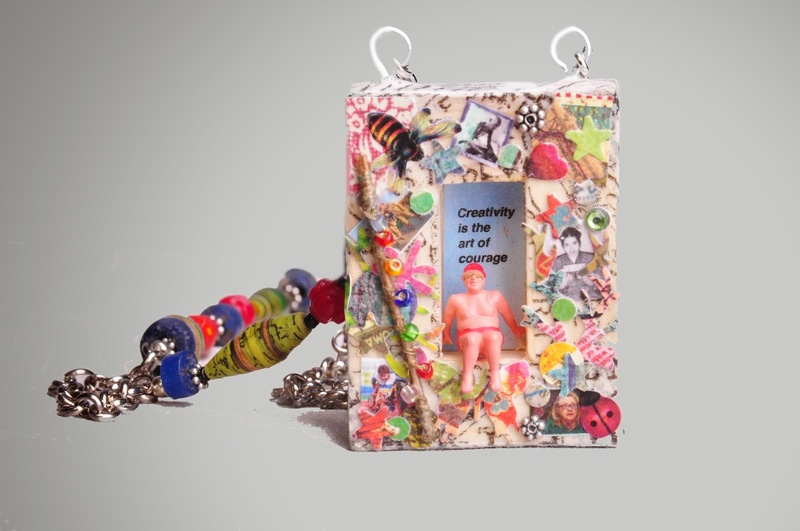 If you've been a member of my nest for very long, you know that I am a jewelry artist that likes to take elements from other art arenas and mix it in with my creations. I may create a small collage from paper, ink up some polymer clay, stamp or paint some fabric...but a canvas girl, I am not. 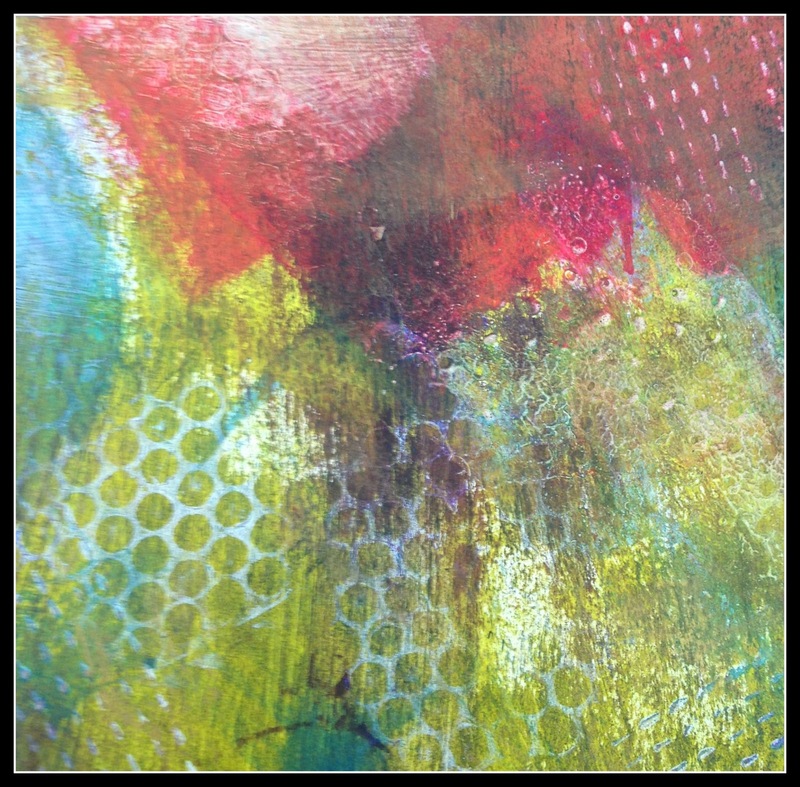 Don't get me wrong, I love mixed media, it's just that I had no idea where to even begin with a canvas or sheet of paper! Not to mention the plethora of paint types and brushes and paint additives! Wtf does one do with glazing medium, gesso, or matte fluid medium anyway? Now take all of this, combined with the fact that even my stick people look like they have a few chromosomes missing, and you can see where this is going. 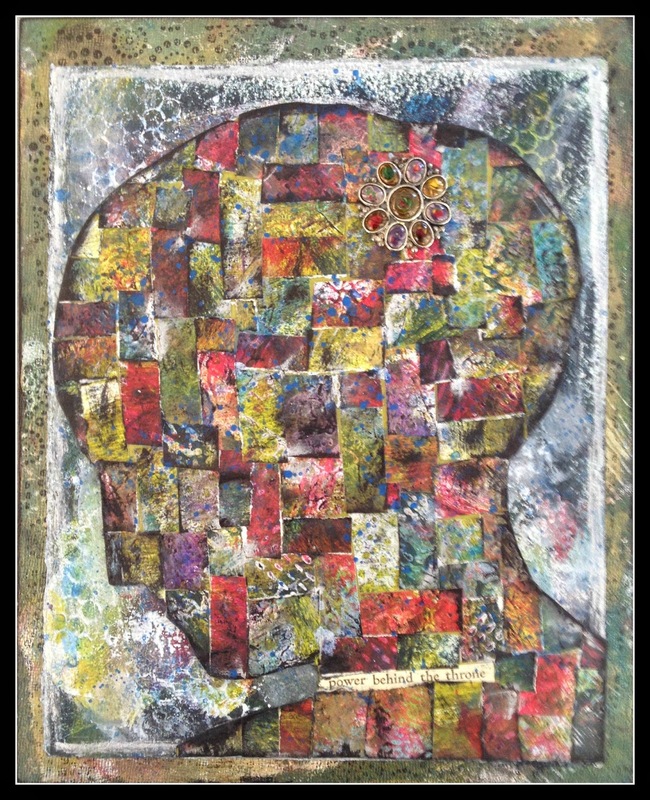 So when my very talented painter/mixed media friend, Patti, suggested we go to a three day workshop with Seth Apter, how could I refuse?! I've never backed down from a challenge yet, so why start now, right? So supply list in hand and over fifty phone consultations later (Patti finally started saying "don't worry I have that too...") we packed up our stashes and headed to Saluda! First let me say that Seth is a wonderful teacher! He discussed all of the different products and explained how they are made and how they react with each other. 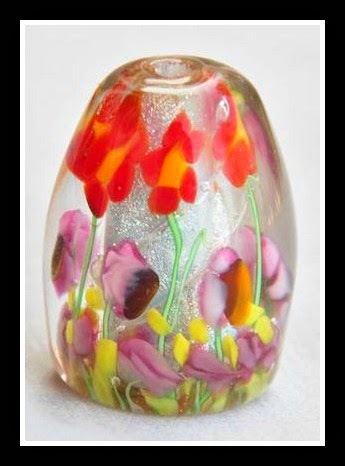 I now know what to do with glazing medium, and girrrl...well, you're just gonna have to find out for yourself! 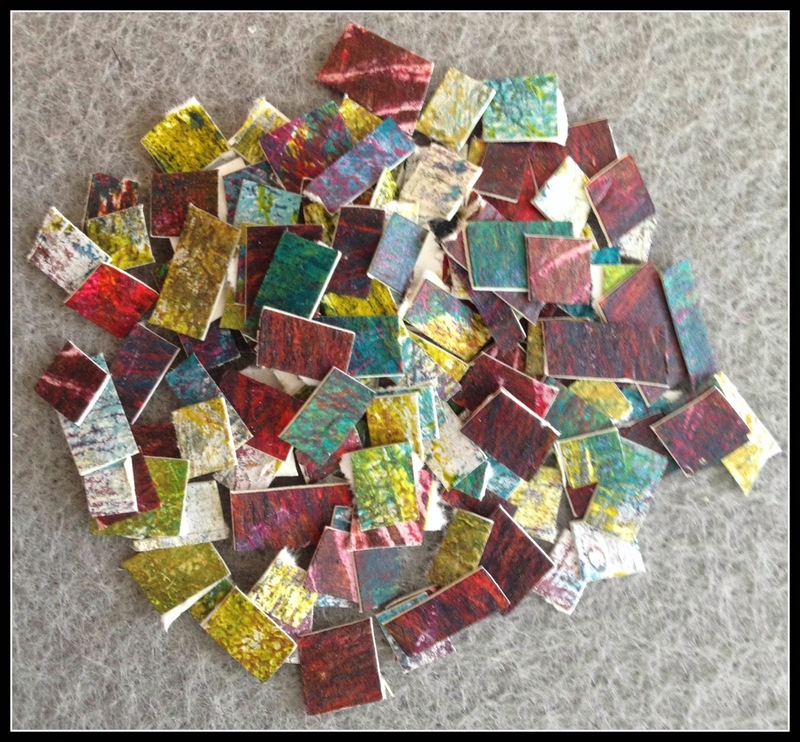 Then he walked us through his techniques and gave us some great tips on how to create textures within our pieces. And most importantly he showed this non-canvas girl that she could create a real, honest to goodness piece of art that she would want to hang on her wall! The first workshop was called Shredded Silhouette and this is the piece that I made. I won't go into the multiple steps it took to create the whole piece, but you can go HERE to check out his workshop schedule and gather some goodness for yourself! Now riding home on the high that one gets while away from home communing with other creatives, and not to mention all the wonderful things the good doctor says about you and your artwork (which by the way is another added benefit, and he says really nice things about all of his students) I decided to take my new found knowledge and apply it to making jewelry! 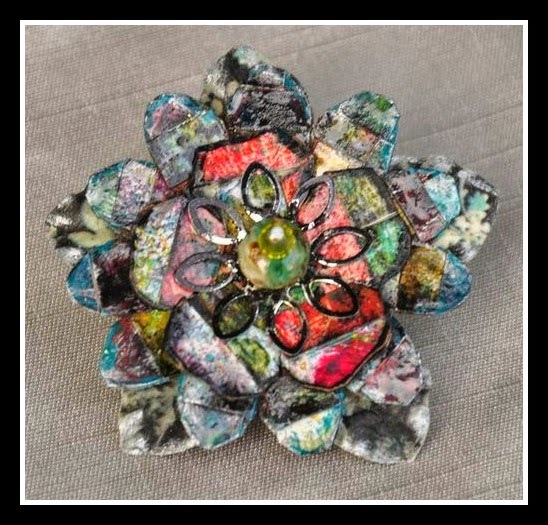 The finished brooch measures 2" across. 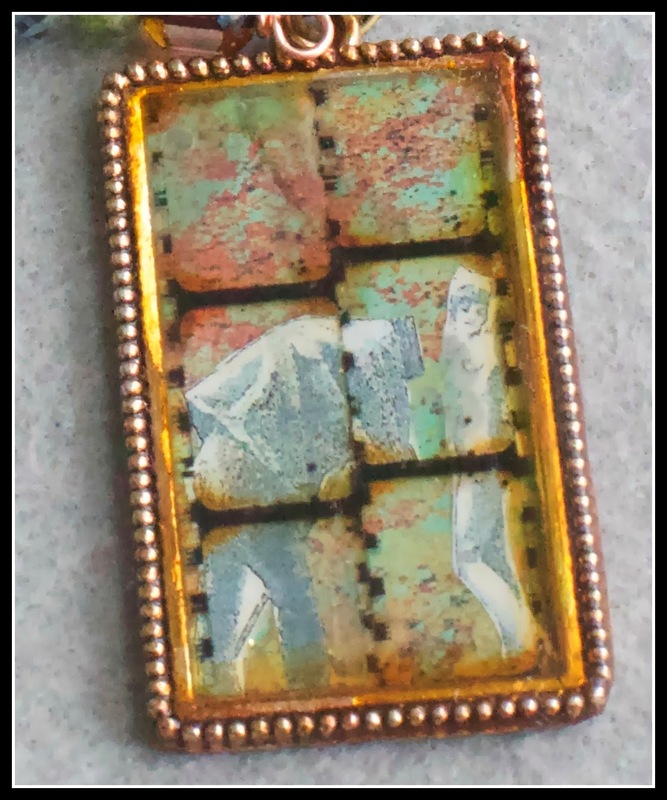 So thanks to Random Arts, Seth Apter, Patti Edmon, and the other wildly talented artists there too, I now understand the excitement of Golden and can't wait to try fiber paste and glass beads (and no I'm not talking about lampwork!) And if you are reading this and have no clue what I'm talking about then let me encourage you try something new! Until next time...Leave Your Nest! 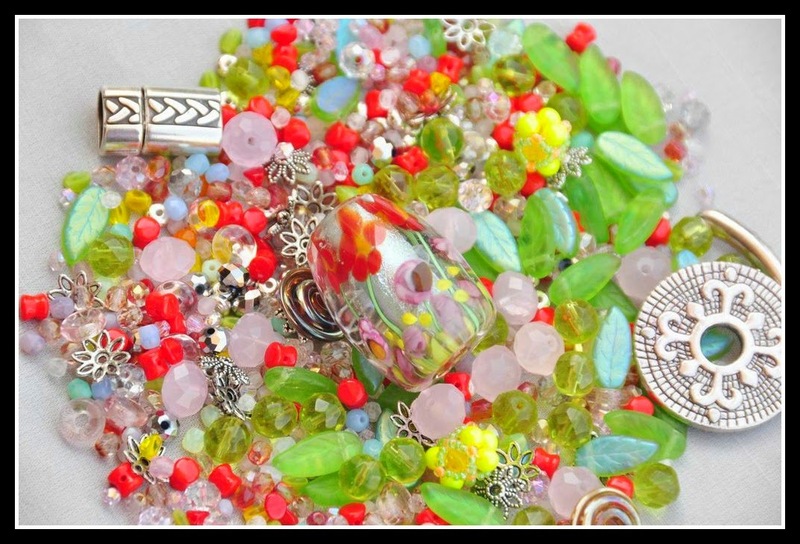 I have had the great pleasure of taking part in the 8th Annual Bead Soup Blog Party hosted by the amazing Lori Anderson! My very generous and talented partner, Rana Wilson sent me the fabulous soup below! Yummy! 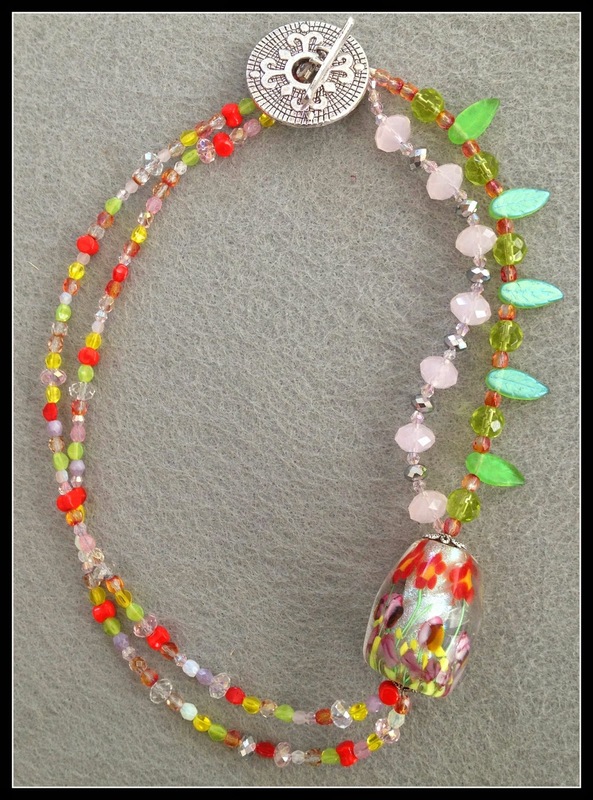 We had to use the focal bead and the clasp in our piece, and I chose to use most of the rest of the beads she sent too! Aren't these colors beautiful! 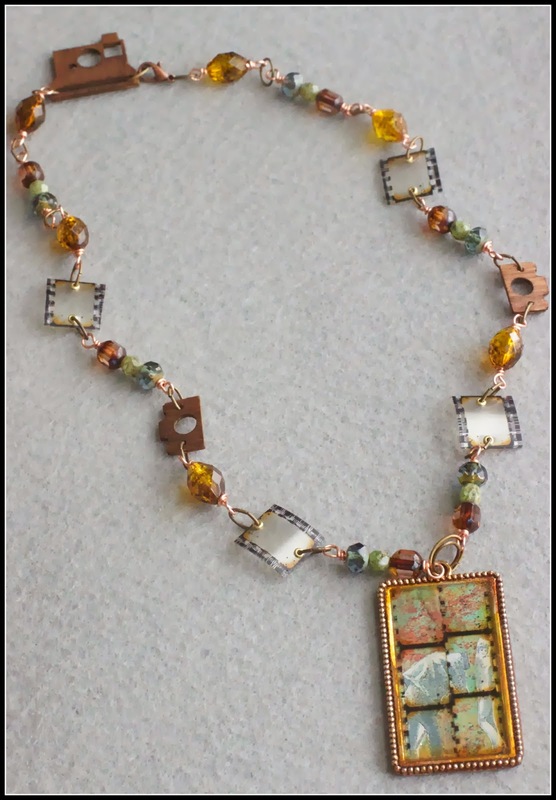 I decided to do something asymmetrical so that I could work the lampwork focal into the necklace and have it hang correctly. My first thought was to use it as a focal tassel of sorts, with strands of small seed beads coming out of it. However, it is drilled so small that would have been impossible. I think this turned out better anyway! 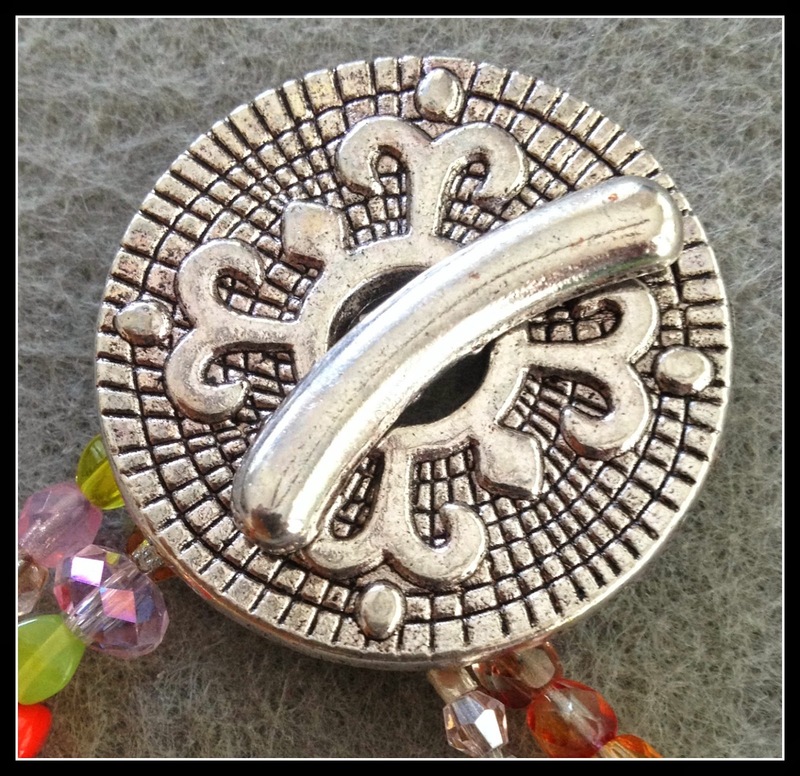 I love the texture on this toggle clasp! I think the weight of it balances out the focal quite nicely. 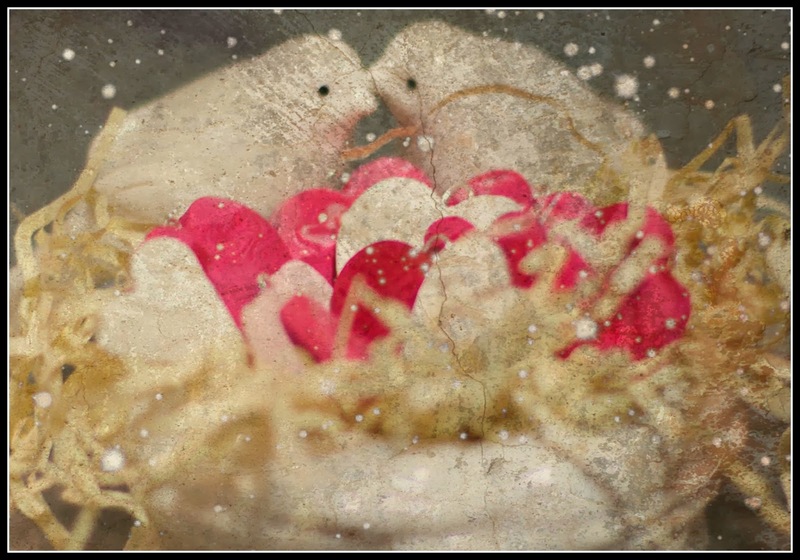 hope you will hop on over HERE to see what everyone else has created! This month's book selection was Interpreter of Maladies by Jhumpa Lahiri. 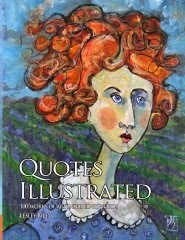 It is a beautifully written book of short stories illustrating the many emotional and physical journeys of her characters as they deal with different types of loss. Lahiri does a wonderful job of pulling the reader inside the stories with her use of lush details and creating an overpowering feeling of empathy. Unlike other books we have read, no one particular story or character spoke to me to create around. I did however, finish the book overloaded with sensory details. The beautiful colors of the saris, the slick feel of fish, the smell and sounds of hot and crowded Indian streets, the taste of curry, and the overwhelming sense of the loss of the familiar, all came together in this mixed media piece that I created. If you want more information about this book club, click HERE and our host, Andrew Thornton, will be glad to give you our book list. Please check out what the other, very talented participants created. 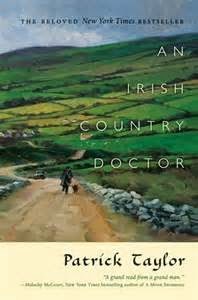 This month's selection was An Irish Country Doctor by Patrick Taylor. It is a charming, easy read filled with wonderful characters! The story, set in the quaint Ireland village of Ballybucklebo, centers around the internship of Dr. Barry Laverty with the town's seasoned general practitioner, Dr. Fingal Flahertie O'Reilly. Throughout the book, Dr. O'Reilly teaches Dr. Laverty that one has to use a variety of ways to treat not only the patient, but the community as well! By the end of the book the two are settling into a very good routine and we see that Dr. Laverty is well on his way to practicing the art of medicine! I can't wait to read the next book in the series to see how he continues to progress, and of course to keep up with all the other characters as well! This book is so full of inspirational characters and settings that I had a hard time choosing one to focus on! I decided to create around my favorite supporting character, Miss Maggie. She is elderly, eccentric and wise, and maybe suffers a touch of dementia. I can just see her sitting outside in her garden, sipping tea, wearing multiple cardigans and petting her cat! 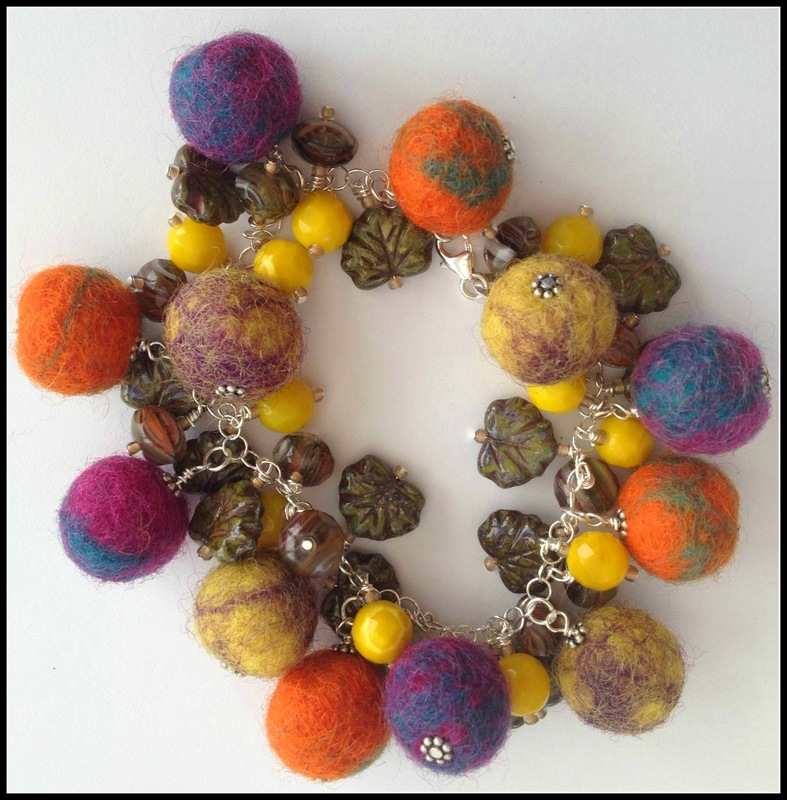 I found these felt balls and immediately thought of those cardigans and so I had to turn them into beads! 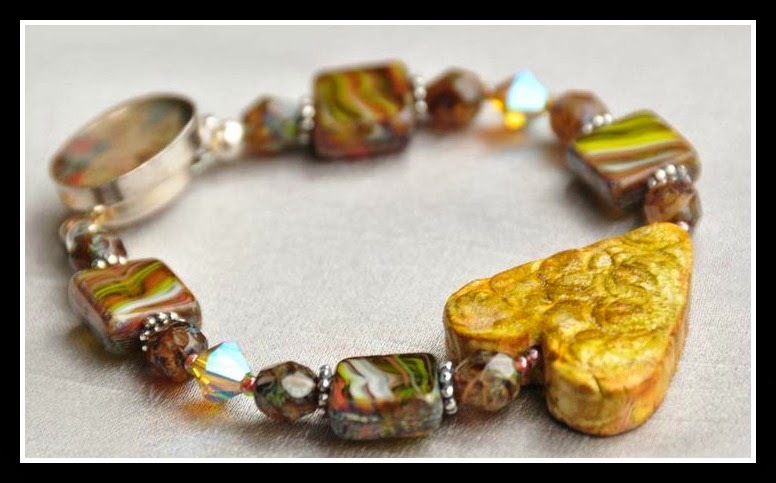 The multicolored glass beads remind me of her flowers. I used the leaves because they remind me of her strong tea, probably made from dandelion leaves at times! 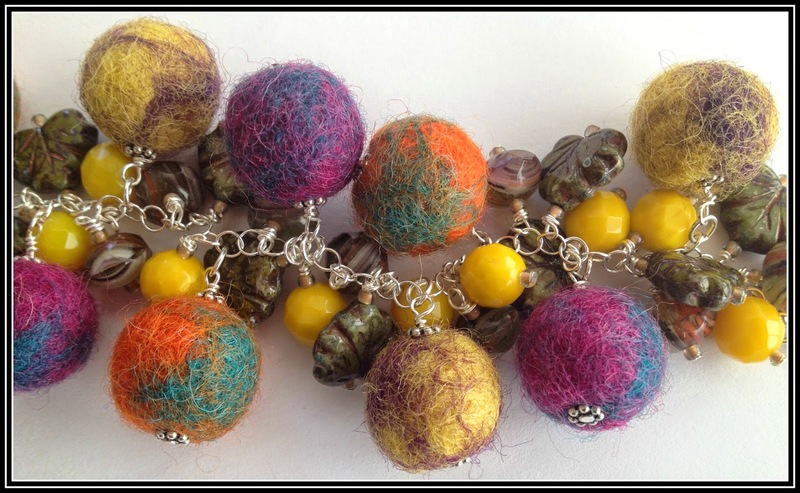 The yellow beads are for General, her cat. I hope you will take time to see what the other participants have created! Click HERE and you can get the other links from our fabulous host, Andrew Thornton! Until next time...Read a book! Let me begin this post by telling you how excited I am to be taking part in Andrew Thornton's Inspired by Reading Book Club! While the concept is simple, the book selections are anything but that. And this is why, after reading the list of books he selected, I knew I had to be a part of this! February's selection is a collection of short stores by Italo Calvino. I must admit that for a minute there, I wasn't really into it. A couple of the first stories I read were, shall I say, odd and depressing. But when I found myself thinking about a particular depressing story two days after I had read it, I knew he had done his job as a storyteller. You see, in just a couple of pages his intense character development, tone, plot and imagery will have you thinking about his stories and their outcomes for days. In this book Calvino transports you from the beautiful, innocent fantasy world to the ugly, wartime world and then back to the ordinary world of everyday schlepping, and you go eagerly because you have empathy for the characters. 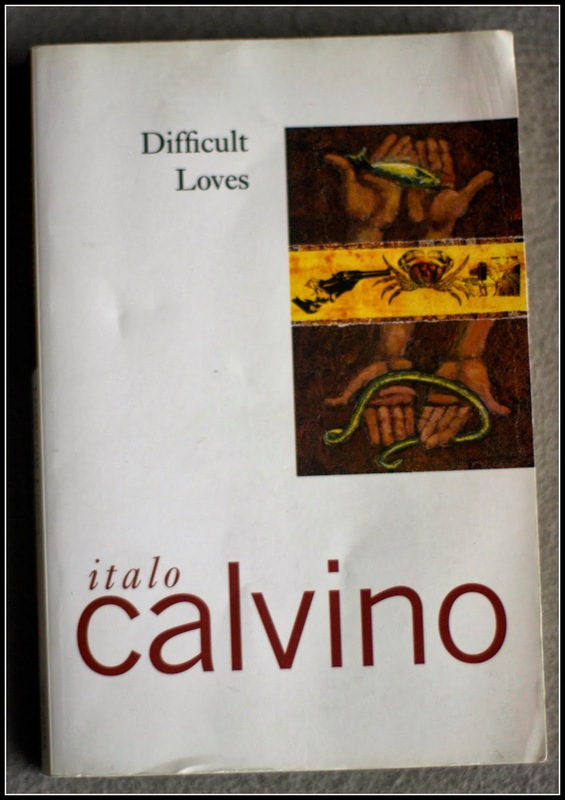 Whether he delights, shocks or saddens us, Calvino does a great job of showing us the many difficult, and sometimes nitty-gritty sides of love. Want more eye candy? Well, here are my fellow participants' blogs. Please show some love and go check them out too! Until next time...Check out this great book club! How will you keep 'em down on the farm after they've seen Paree? For Christmas this year I ordered myself 50 pounds of luscious earthenware clay with the hopes of making lots of beads. I lugged that clay into my studio, tore open the box and quickly sliced into the slick, gray clay. 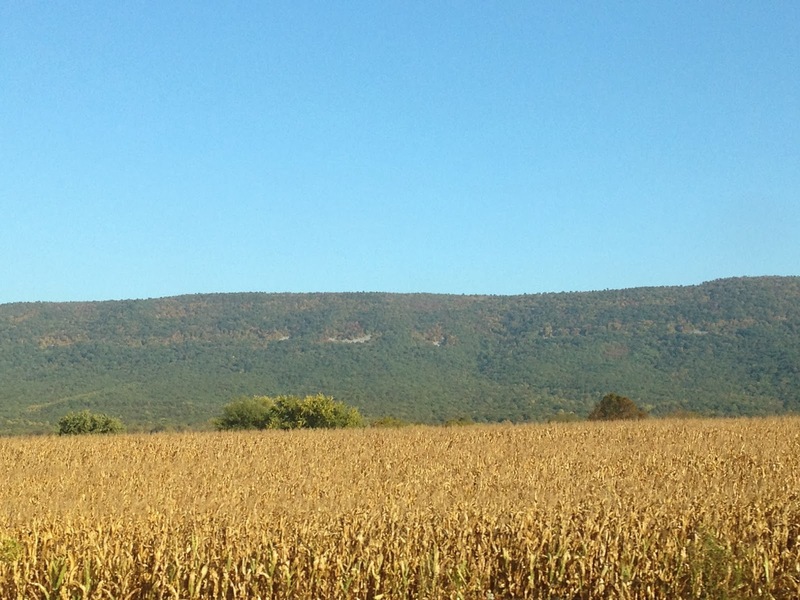 The smell of wet leaves and fertile earth drifted into the air, and I was immediately transported into summer. The feel of the cold, damp clay on my hands reminded me of the thick, strong earthworms that I usually find while gardening. I was giddy with the endless possibilities that I would create! Then reality hit. I used to work with clay a lot. I had wheels and kilns and glazes and TIME. You see, I like the idea of earthenware clay, but it requires lots and lots of time. You condition the clay, then create the piece, then let the piece dry for a few days, then fire it for a few hours, let it cool for another day, then glaze it, then fire it again for another few hours and let it cool for another day, then you open the kiln and... It's like Christmas! Magical! Unfortunately, my life is not conducive to earthenware clay at this time, so I boxed it back up and looked for an alternative magical fix. I have never been a fan of polymer clay. It's just too polymery (yes, I just made that word up!) for a clay snob such as myself. However, a few years ago I met a fellow bead artist that was a member of my bead society, and he reintroduced polymer clay to me with his beautiful beads. 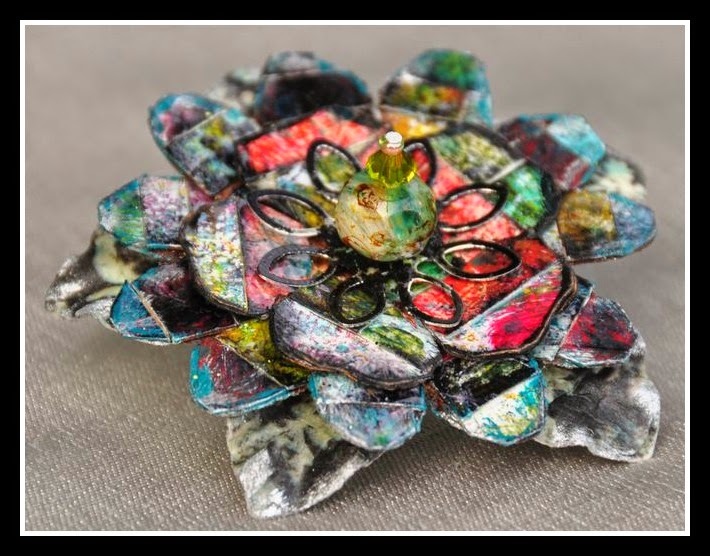 After researching polymer, and discovering the new clays and techniques and brilliant artists that work with it, I decided that polymer might not be so bad after all. 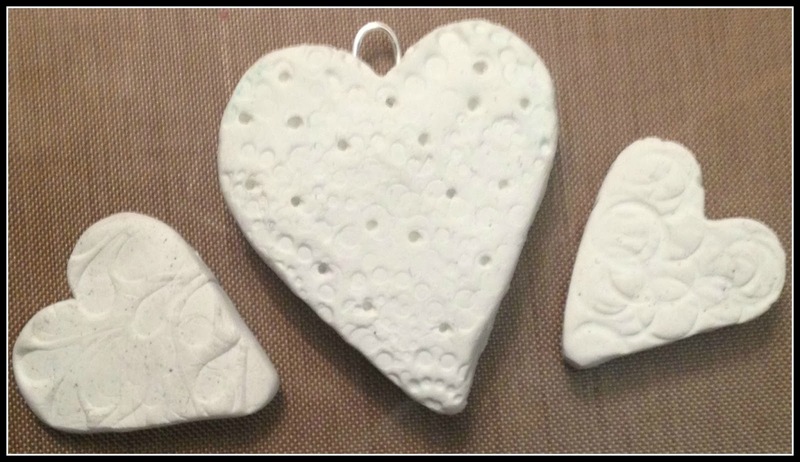 So jonesing for clay, I went and bought a few bricks of polymer clay and got busy creating beads! And boy, am I hooked! This stuff is incredible! 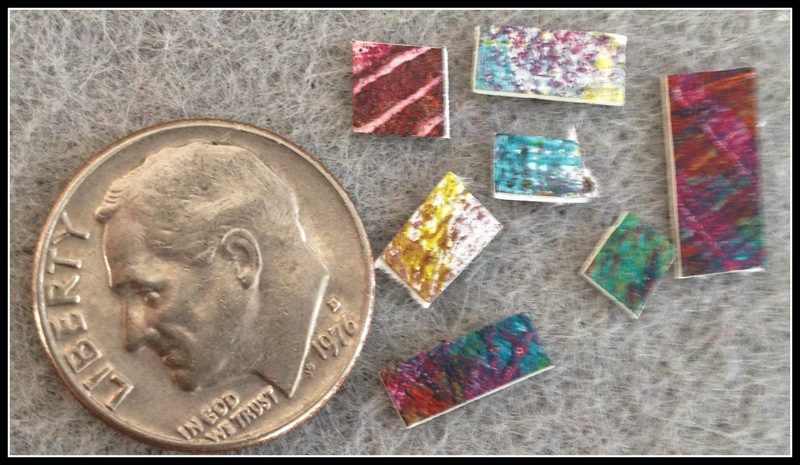 It's easy to work with, fires in a simple oven in less than 30 minutes, and can be painted with almost anything! It fits right into my mixed media studio and I couldn't be happier! The possibilities are endless and it is readily available, even in this one horse town I am currently living in. 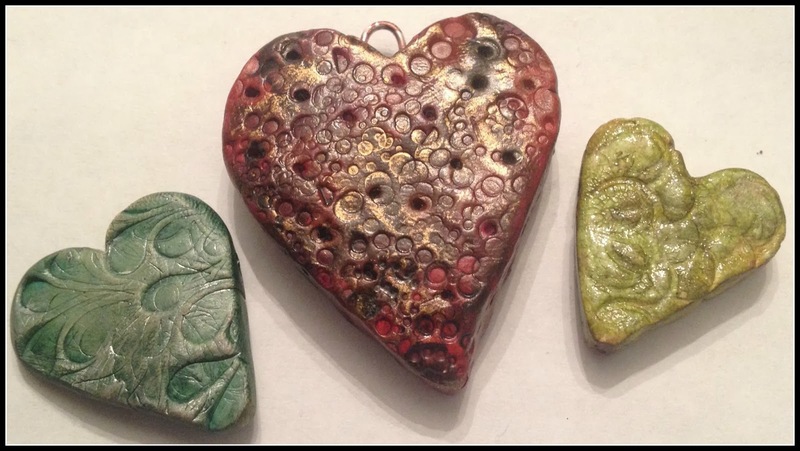 Here are three heart beads that I made using various stamps and tools to create texture. 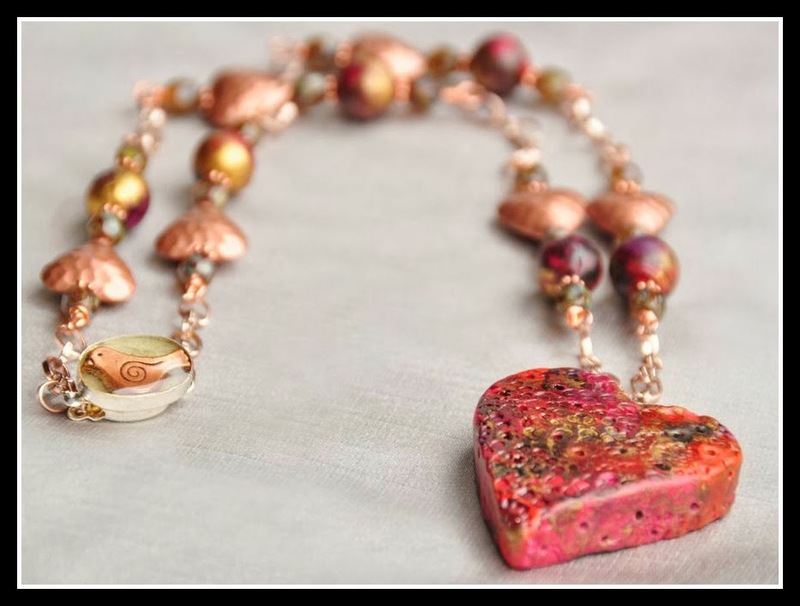 Then I had to dig through my packed up studio boxes to find some beads and findings so that I could turn them into jewelry. Here are the finished pieces. 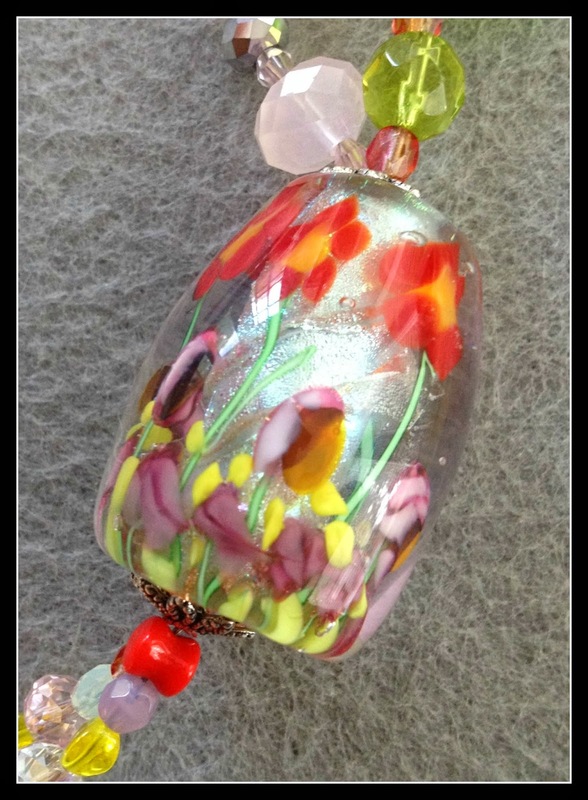 I also made the beads that match the large polymer pendant and I made the clasps for both pieces as well. I think I've seen Paree now! Until Next Time...I hope you get off your farm too! 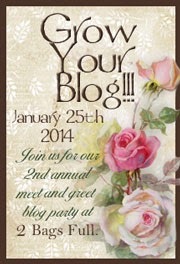 Welcome to the 2014 Grow Your Blog Party hosted by Vicki at the beautiful blog, 2 Bags Full! 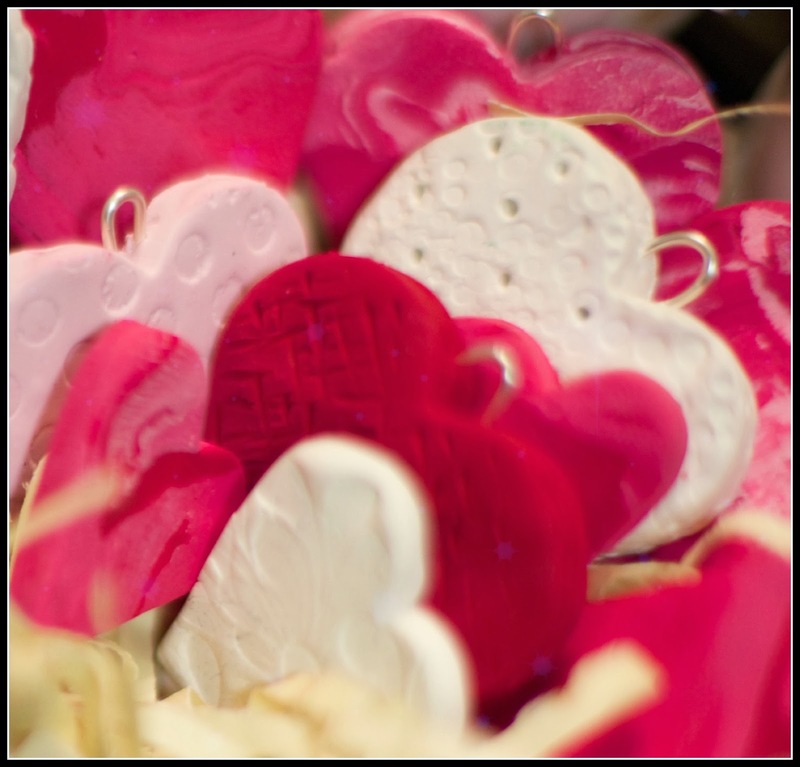 There are around 600 blogs joining in the fun this year and I am so looking forward to meeting new friends and viewing all the fantastic blogs! The name of my business and blog is Blue Finch, and I'm sorry to say that if you came here looking for a bird blog, then you are out of luck! Several people did that last year and we both got a good laugh out of it! While I do love all things bird (hence the name), I just don't blog about them! However, I do like to refer to my blog as "The Nest". Until next time...Welcome to The Nest! 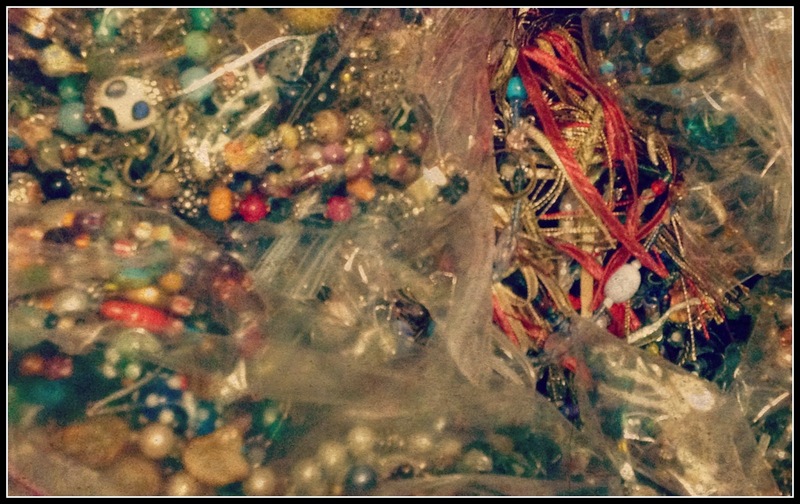 Although all of my beads are packed up, my mixed media stash is still accessible! 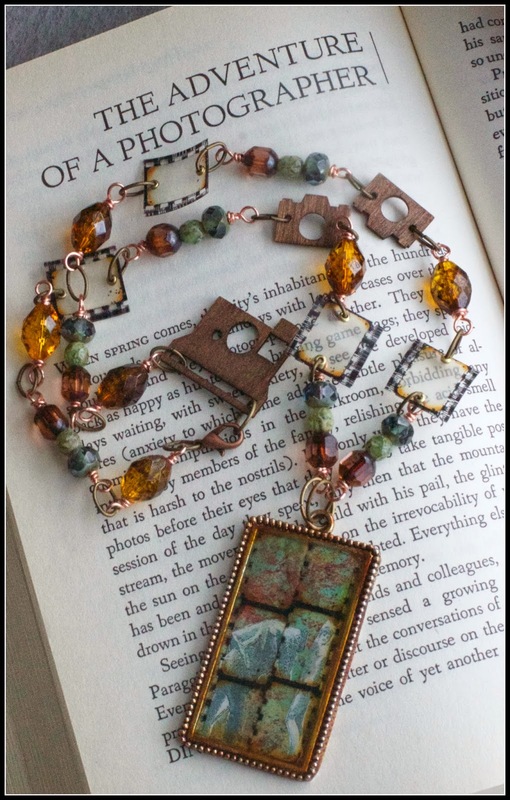 Speaking of which, I have had the real honor and privilege of having one of my mixed media pieces selected to be published in Lesley Riley's latest book! If you are not familiar with Lesley, then please check out her website! 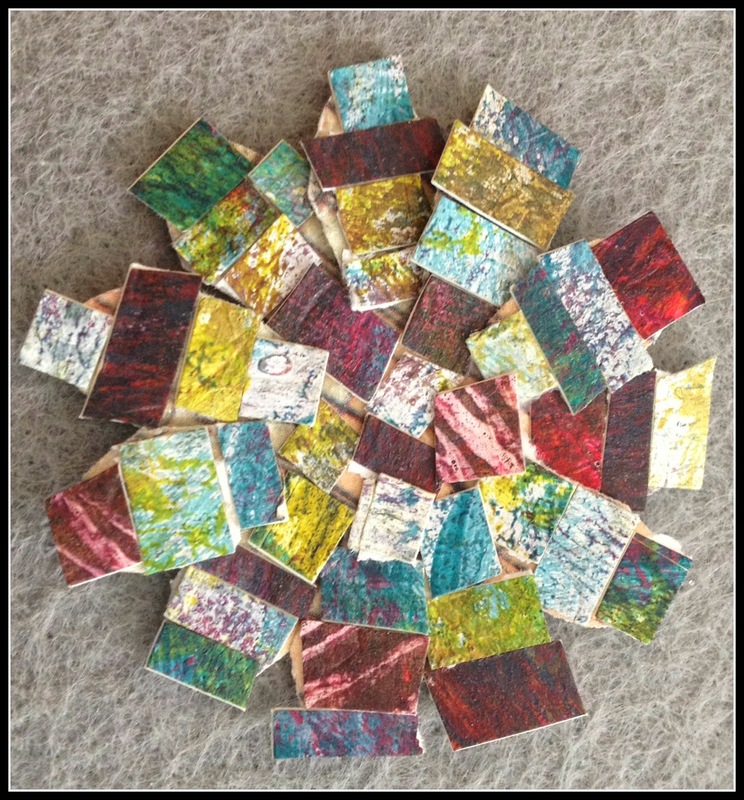 She is a fabulous artist, product developer, author, teacher, coach, mentor, and friend....you will not be disappointed! So Nest, although it's been a crazy half year, a new one is upon us, and I have a whole list of things to accomplish in 2014! I hope you will join me! Until Next time, create your own beautiful adventure!